If you live in a small home or apartment, or even if you have a small bedroom, you’ve probably found it difficult trying to find things amongst everything you have to squash into your small space. Organization dilemmas often occur when you’ve moved into a new home, and you finally realise how much stuff you actually have, or if just get tired of having to live around the mess threatening to engulf you. There are a few general things you can do which include getting rid of stuff you don’t need or just buying a bunch of storage boxes. If you think you need more than general advice, you’ve come to the right place. This is easier said than done. But you can use the three box trick for hoarders to get rid of things you no longer need. First, get three storage boxes and take them with you from room to room. Go through your things and place them into the boxes according to these categories: stuff to throw away, stuff to donate, and stuff to think about. For the first two boxes, do as their category says. But for the third box, keep it with you for another 12 months. If within those 12 months, you haven’t opened the box or gone through it, sort them into things to throw away or donate. If you live in a place that has seasons with drastic temperature and weather differences, you may be struggling with keeping all of your winter clothing with your summer clothing in one closet. If you won’t be using an article of clothing this season, keep it in a storage box and put it in the garage or in the attic. Make sure you add in a dehumidifier in there to keep the clothes fresh for when you do need to use them. You can also keep the clothes in vacuum bags to save space. Also, when it comes to clothes, you can do the reverse hanger trick where you put all your hangers on reverse, and when an article of clothing gets used, you can hang it up the right way. The clothes with their hangers still in reverse at the end of the year are the ones you should be getting rid of. If you can manage it, invest in shelves that reach the ceiling. These come in a variety of shapes and sized so even the slimmest corner of your home can have its own little shelf (particularly the kitchen). That extra square foot of storage can go a long way. In addition, these tall shelves add more vertical lines to an area, making your space look a little taller than it actually is. If you haven’t got enough space for boxy shelves, you can also use floating shelves in high spaces. And don’t forget about that forgotten space above the doorway! When you’re hiding things away, you don’t always have to have an attic or basement to store them in. You can hide them in plain sight! For instance, your couch or ottoman might double as a storage box or you might have a bunch of storage bins tucked away under your bed. For storage under the bed, you can even buy blocks that can raise your bed. You can also place items under the table and just cover it up with a long tablecloth. Stackable boxes are a great way to store your things without using too much floor space. Most stackable boxes fit right into closets, and they can hold heavy items. You can also use stackable boxes that have clear sides so you won’t have to guess what’s inside each box. These work best for tools, paints, heavy duty cleaning materials and other things that you don’t use on a daily basis. Minimalist furniture like those primarily made of thin rods and glass may look delicate, but most of them are actually quite sturdy. In addition, the see-through glass gives off the illusion of more space because it doesn’t obstruct the view. When it comes to furniture placement, opt for creating mini-rooms within your apartment even if you live in a studio unit. Put all of your living room, dining room and kitchen furniture in their own little spaces to facilitate the flow of movement within your home. With the scarcity of space in city apartments, more and more designers are creating furniture styles that have more than just one function. For instance, you can get chairs that double as a shelf, or sofa sets that open into a storage box. You can even purchase transforming furniture like sofas that can become beds. If you’re not keen on buying new furniture however, you can always double purpose your furniture. For example, your dining table or a kitchen counter can double as your work station when you’re not eating. People tend to underestimate the usefulness of strategically placed hooks and nails. There are tons of useful things you can hang up, from lights, terrariums, wall fans and especially your TV set! 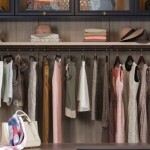 By hanging up your things onto the wall, you won’t believe how much floor space you can have. If you happen to be renting and you can’t place nails or hooks into your walls, you can also purchase stick-on hooks that can hold as much as one kilo per hook! Did you know that if you have a light coloured colour scheme for a room, it makes the room look wider and roomier? In addition, if your furniture matches the colour of your walls, you can also create the illusions that your furniture blends into the wall, therefore looking like there’s more space. Colour shades that work well for this are pale pastels or shades of off-white or cream. When it comes to lighting, vertical lines will work wonders. Try placing a light source close to the top of the wall and angle it downwards to create a triangle of light onto the wall. It works well if you also have a focal point beneath the light. It can be difficult trying to organize a small space, but with these key tips in mind, it’ll be easy for you to keep your things in order, making them easier to find when you need them. Be sure to stick to your organization plan so that you can keep your home nice, tidy and possible to walk around in! Fiona Wilson helps people all over Australia to better organise their homes and lives. Working closely with Wardrobe World and GarageSmart, she is incredibly passionate about finding practical lifestyle solutions for her clients.